Some time ago we replaced all the tired old synthetic pillows with nice new feather ones. 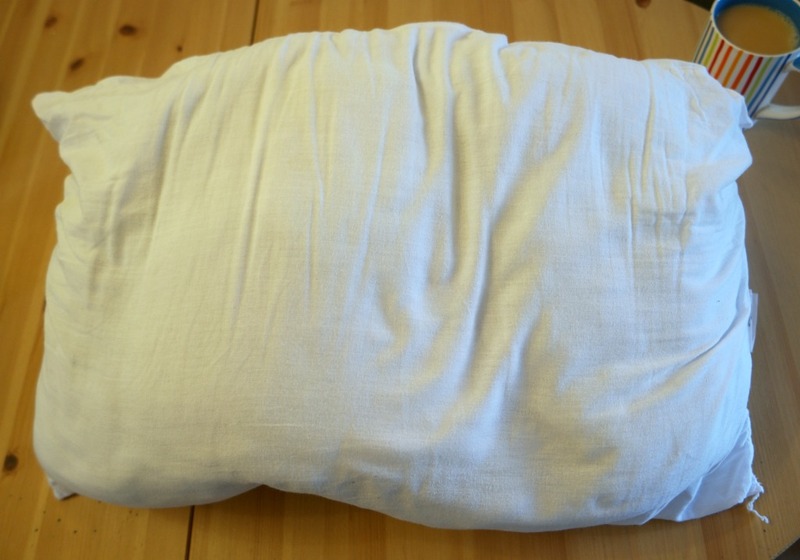 I love a feather pillow, but I was left with a load of saggy old pillows that I didn’t know what to do with! The obvious answer of course was to throw them out. I wasn’t keen in this idea as I felt they could probably still be used for something, and I would always rather use something until it falls apart! Unfortunately this was a while ago and the pillows have been cluttering up my bedroom floor for several months. I had nowhere to put them so they were on the floor. I’ve been reading the Flylady’s book (affiliate link) and she has told me to stop using my bedroom as a graveyard for stuff that doesn’t have a home. So I’ve decided that the pillows have to be used or they have to go. I’ve managed to use one of them! Last week I made a cute little cushion with a pocket on the front for a book. I didn’t have a cushion pad for it, so I made one out of one of the pillows! 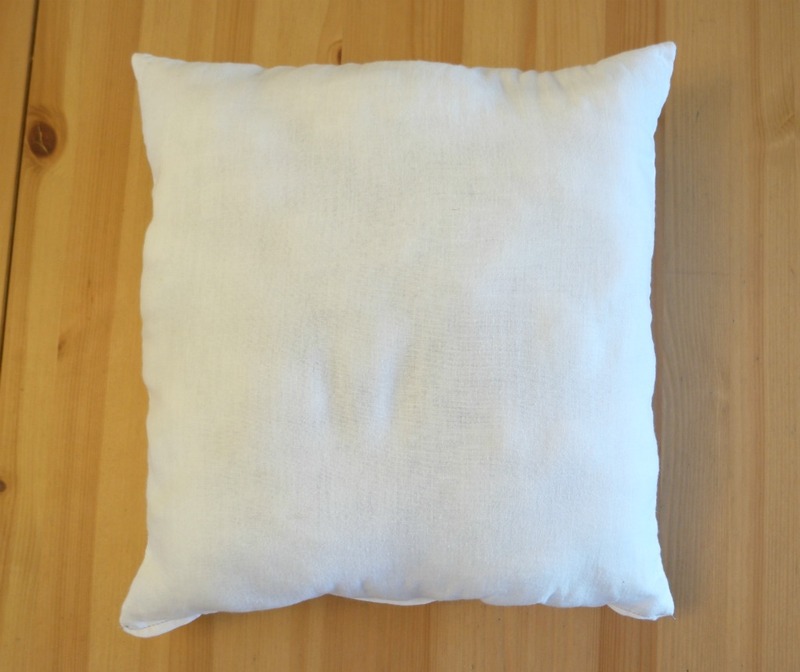 Here’s some instructions showing how to upcycle an old pillow into a cushion pad. 1. 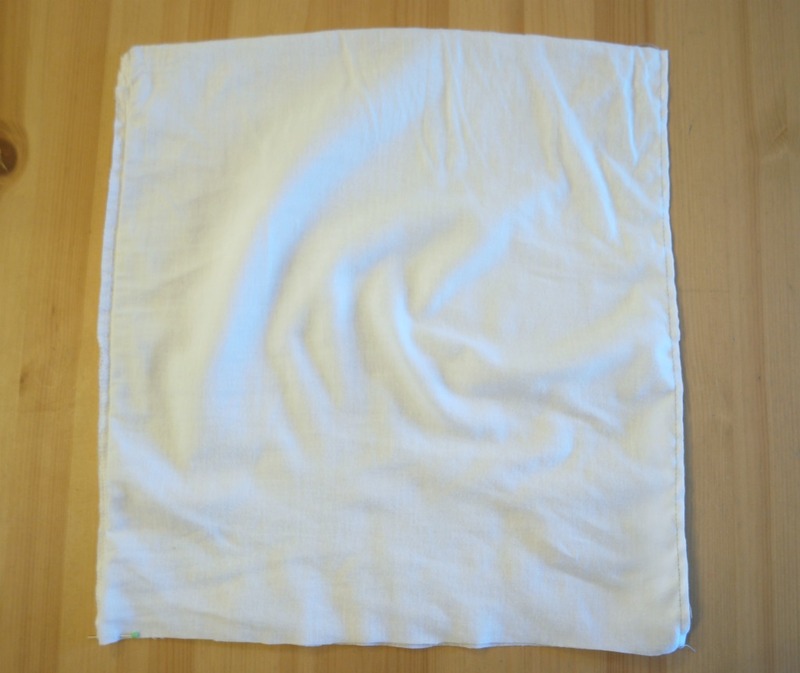 Wash the pillow and dry it. As it was a wet day when I washed mine, I popped it in the tumble dryer. When it came out, it was already much fluffier. It still wouldn’t be nice to use as a pillow though! 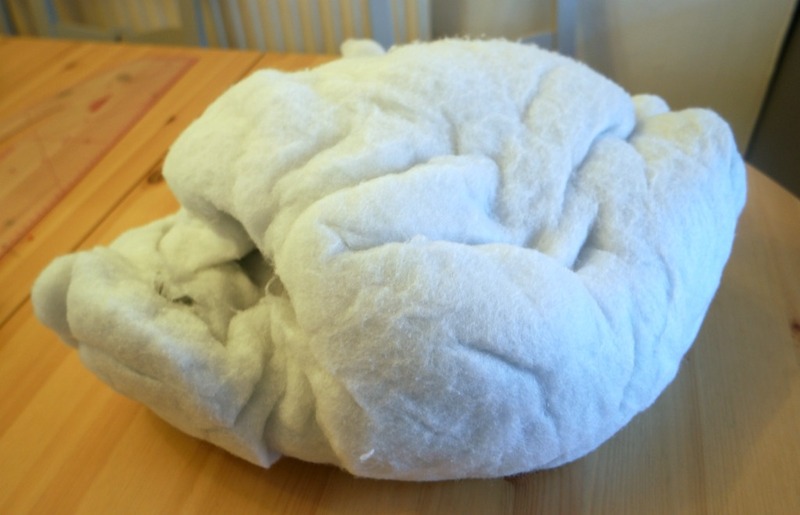 You don’t have to use a tumble dryer, you could just dry it on the line. 2. 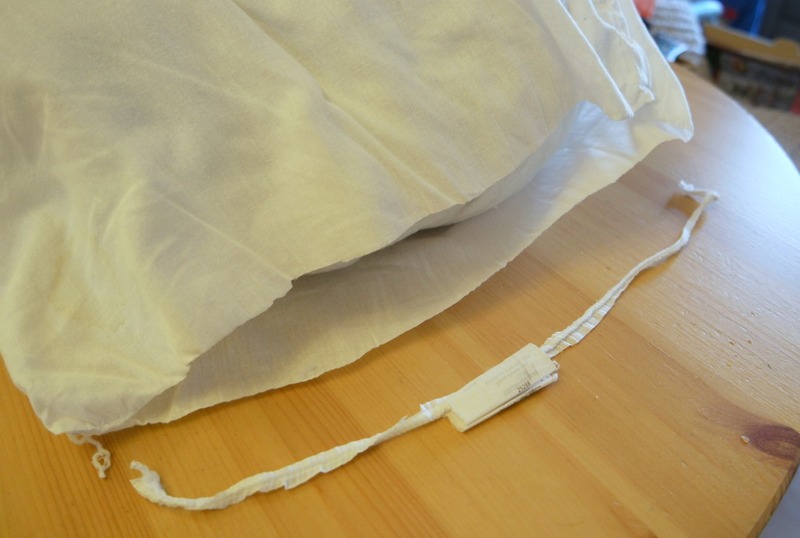 Cut the end off the pillow cover and pull the contents out. Inside will be a load of stuff that looks like polyester filling. 3. Grab a chunk of the filling and start pulling it apart. Keep doing this until it’s all fluffy. Some of it will be fluffy already. Other bits of it will take more doing. 4. 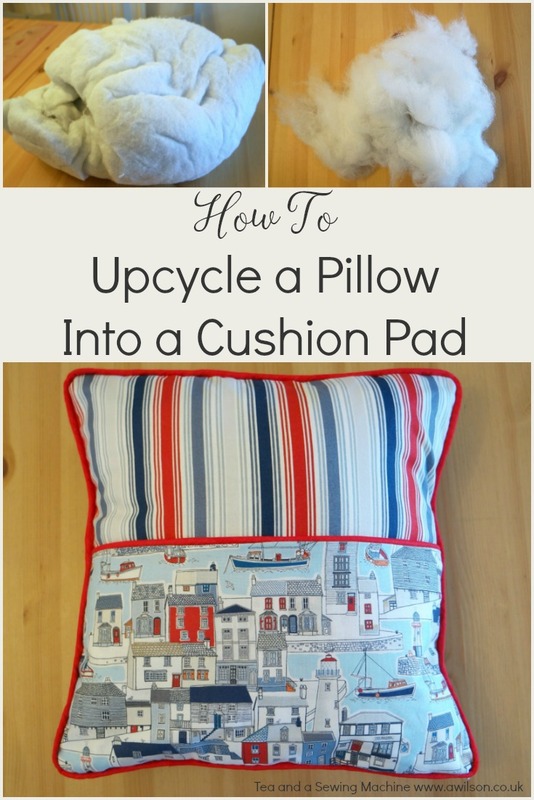 You can upcycle the pillow cover as well! Measure the cushion you are making the pad for, then mark those measurements onto the pillow cover. Remember to add a seam allowance! 5. 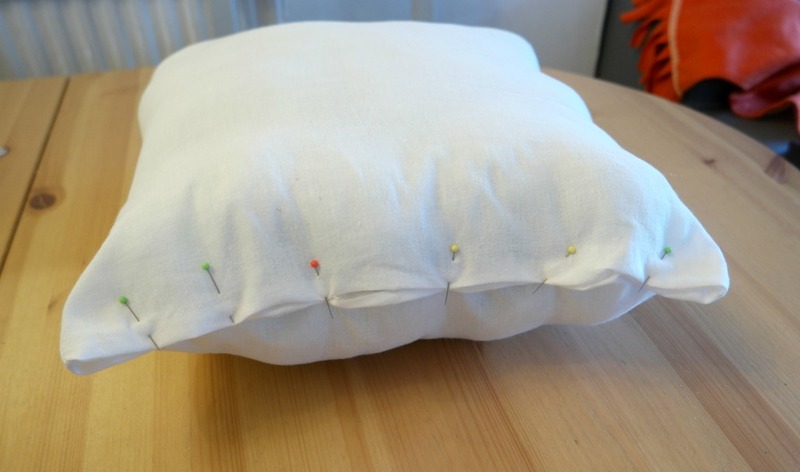 Cut the pillow cover down to the right size, then sew it together on 3 of the sides. You’ll probably be able to use a couple of the existing seams. 6. Return the now fluffy contents to the cover. You’ll want it to be full but not too firm. Decide how firm is comfy for you! 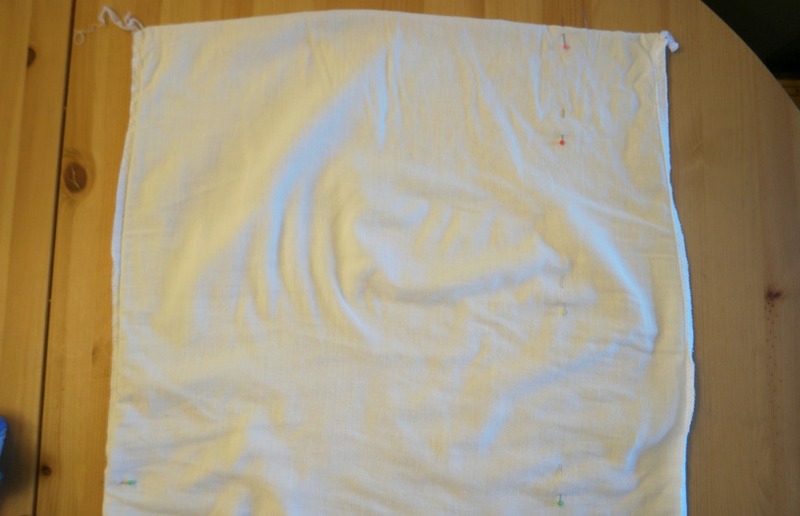 Fold the raw edges of the open end inwards, then sew. Now you have a new cushion pad! If you’re making something smaller, you probably won’t need all the filling. 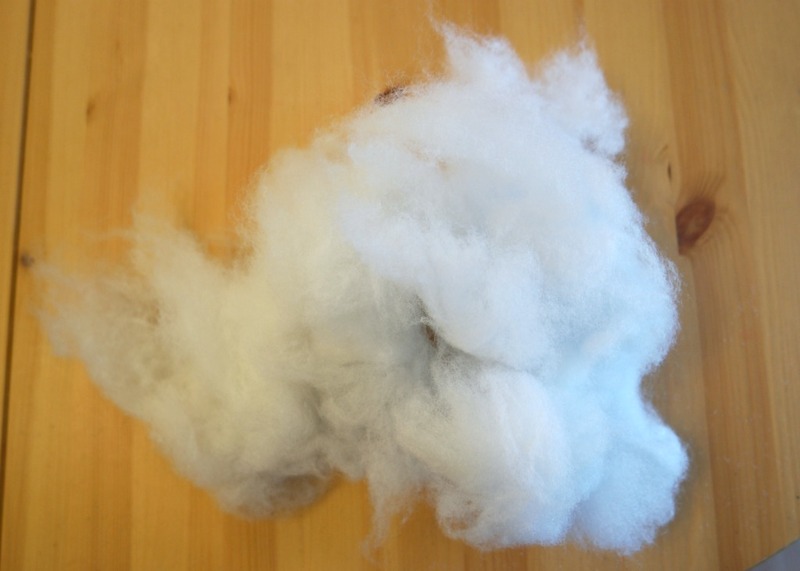 You can store this and make something else with it. A pincushion would be a nice project and there’s a tutorial for one you can wear on your wrist here! 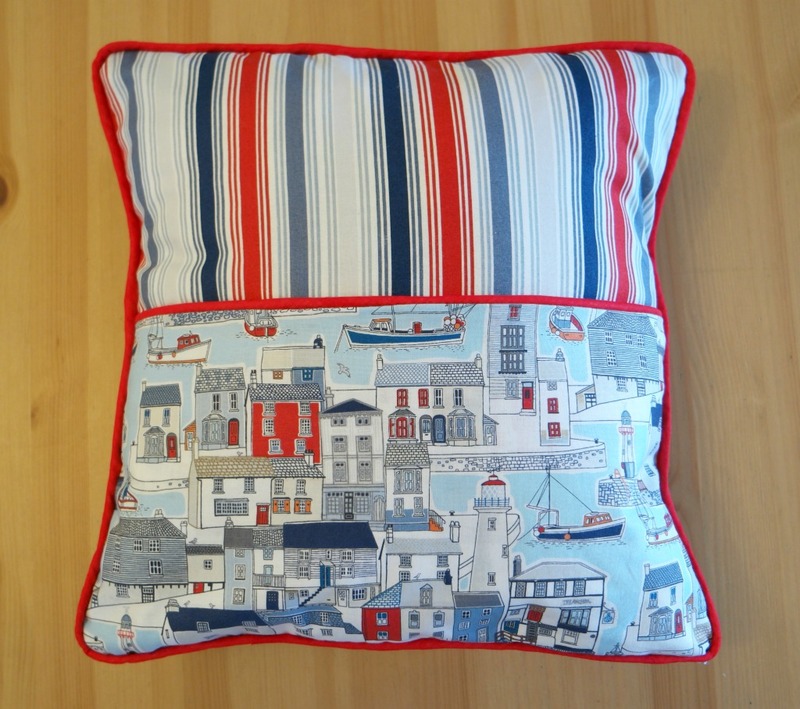 If you like my cushion with the pocket on the front, the tutorial for it is here.